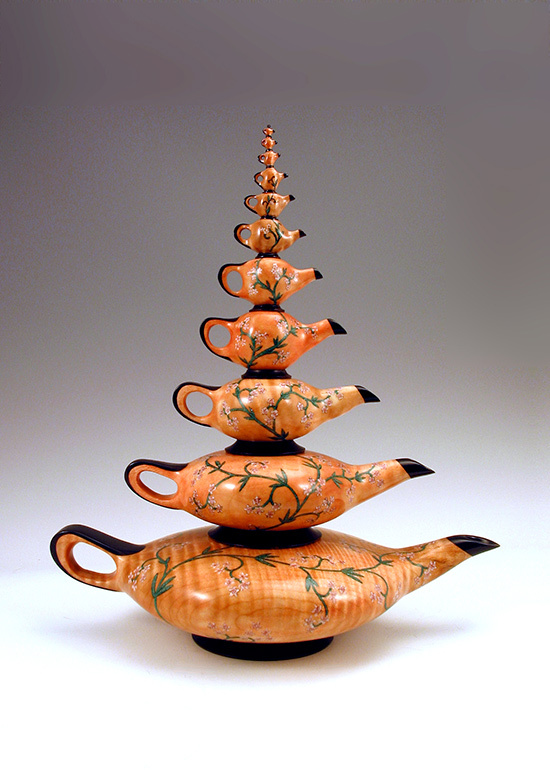 Comment: Except for the top three "teapots", each teapot is separable (with finished hollow interior and spout). The top three are a carved finial. 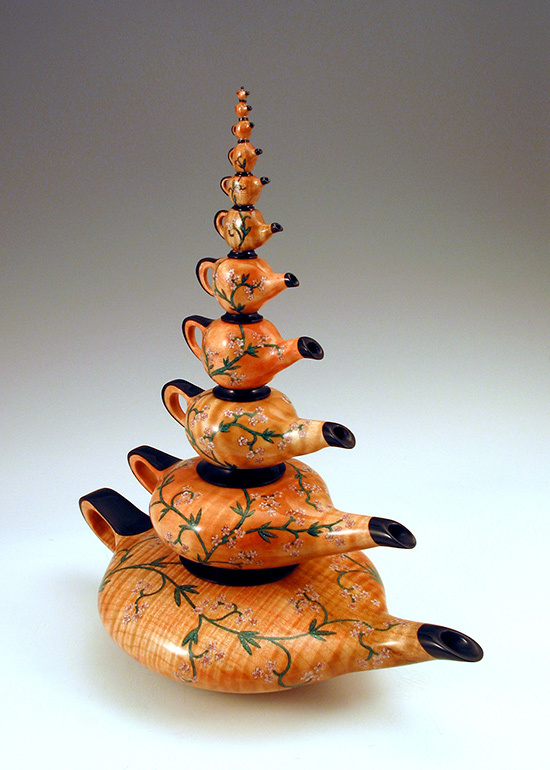 The wood figure and inlaid vine are contiguous. In the collection of the Sonny Kamm Foundation.